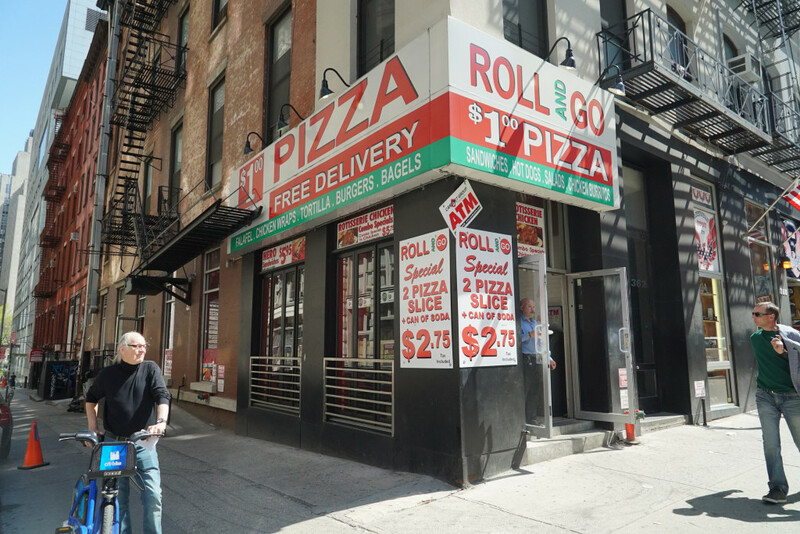 Roll & Go opened up in our old neighborhood at the former location of a Subway sandwich shop. 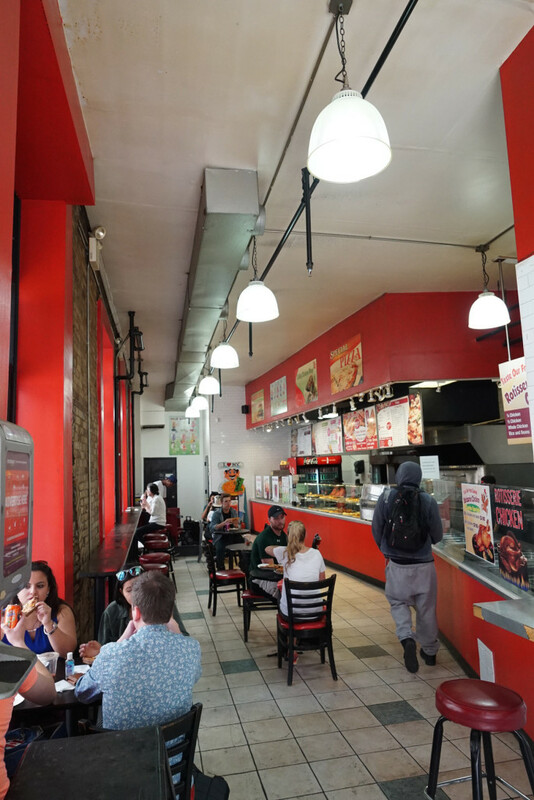 This is by far one of the largest dollar pizza joints around. Not only is the space large, but so is the menu. 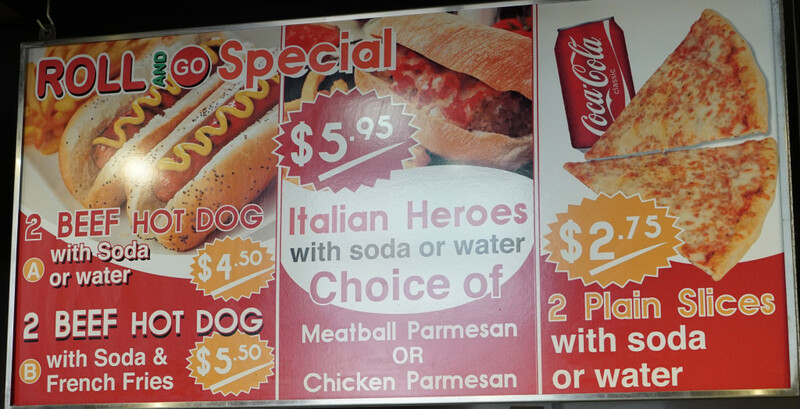 I guess you can say this is a restaurant rather than a dollar pizza joint… I mean, look at the selections here. 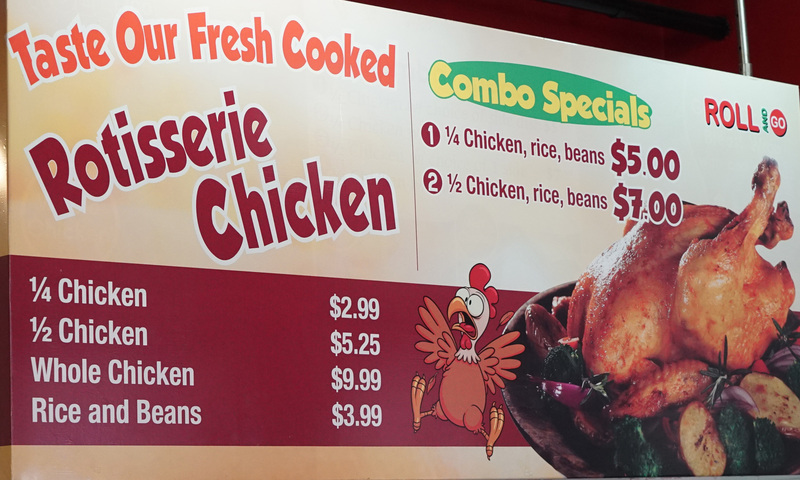 Even rotisserie chicken! You might think that with all of these choices they wouldn’t have good pizza, since they’re spread too thin into other cuisines, but you’d be wrong. 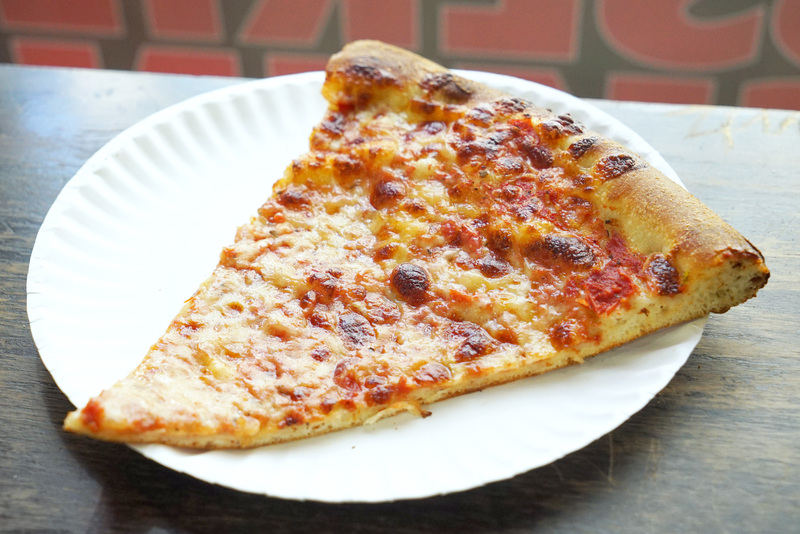 Let me tell you, this was one of the best slices for a buck that I’ve ever eaten. 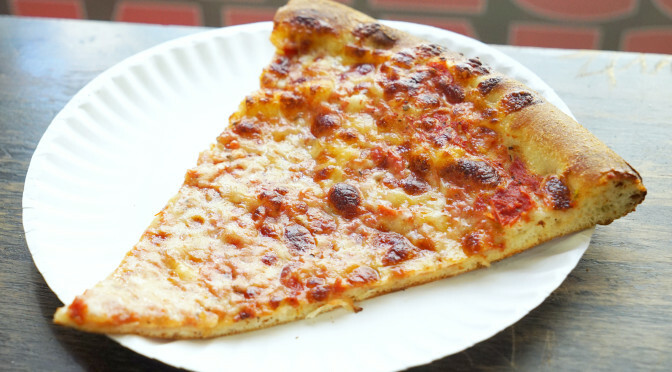 It was crispy, had some good cheese and sauce on top, and the crust was thicker than cardboard, had some air in it for softness, but still came with that necessary crunch. Total victory here.